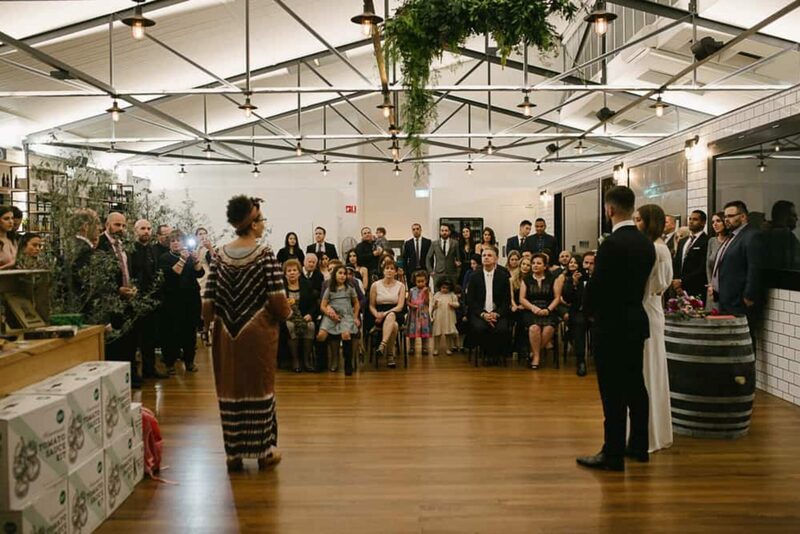 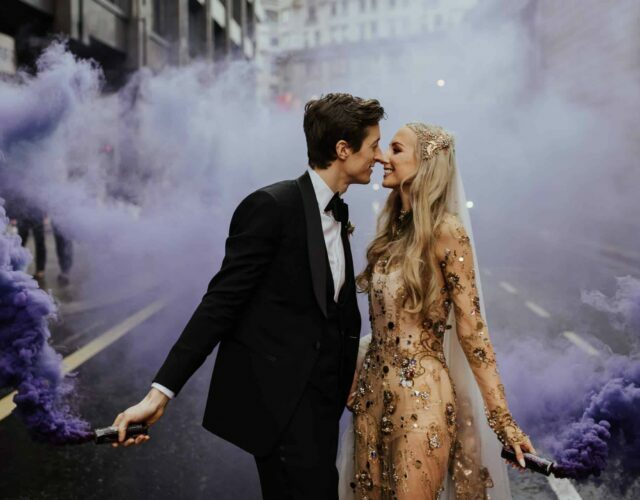 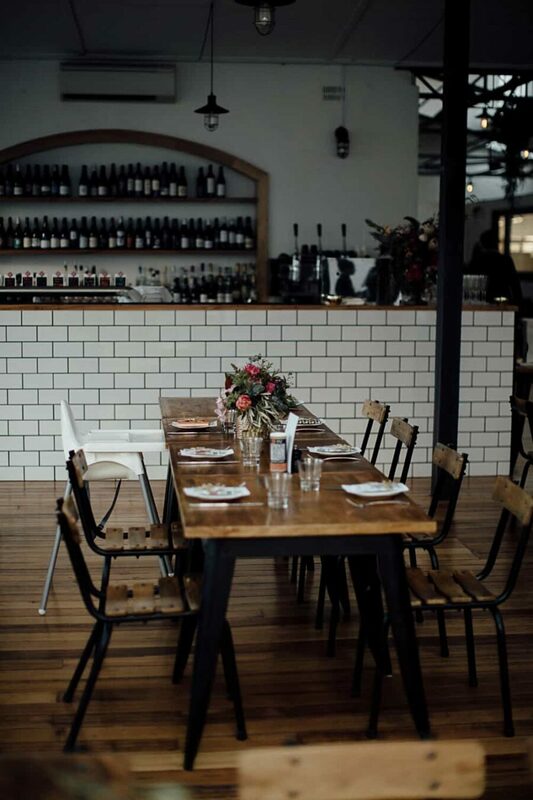 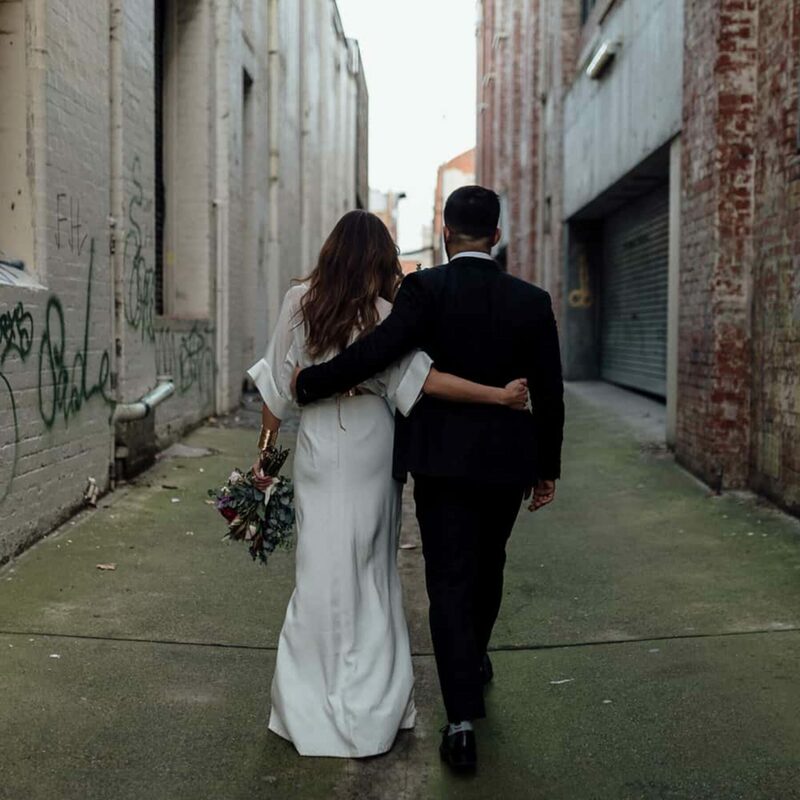 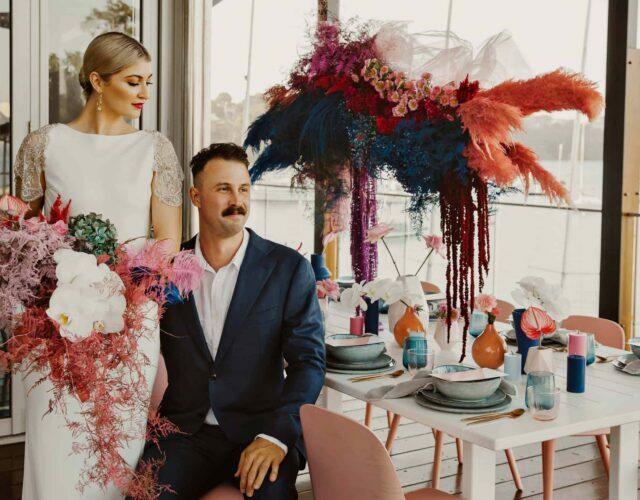 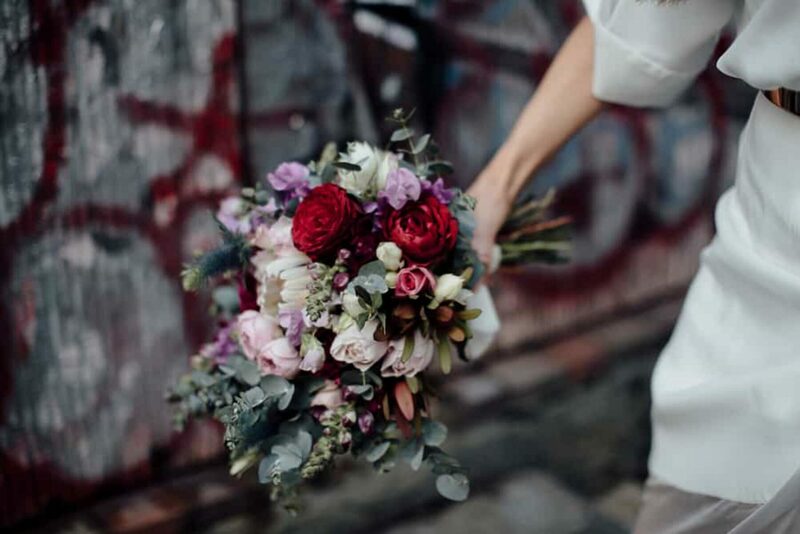 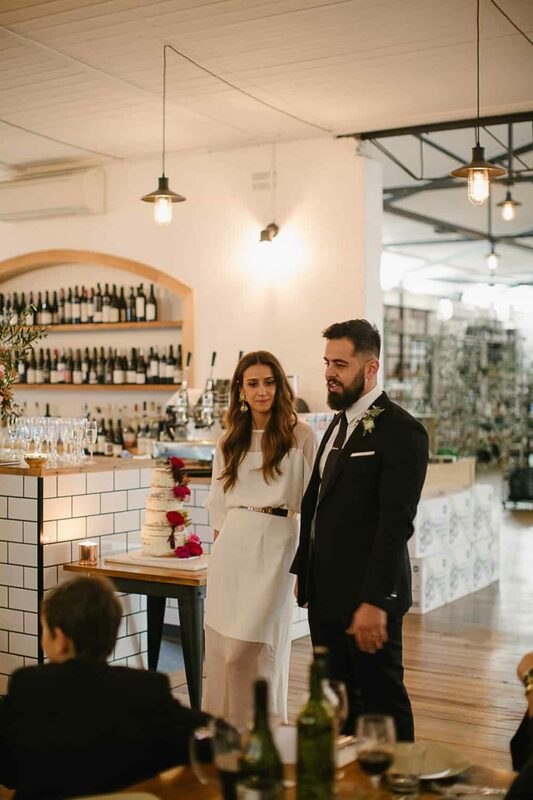 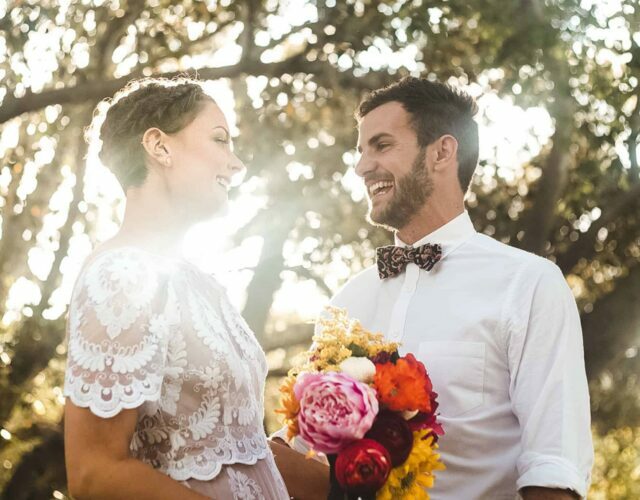 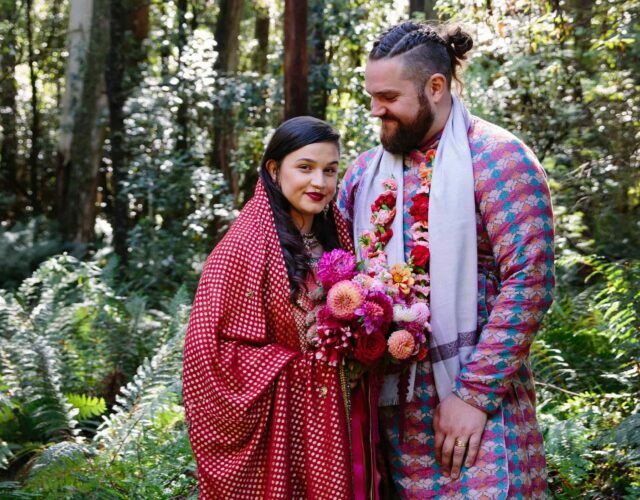 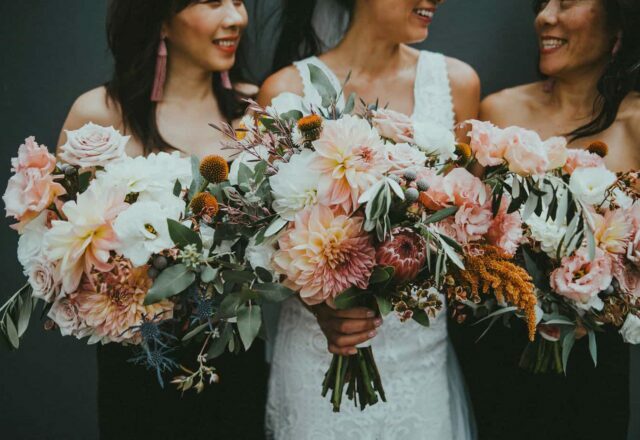 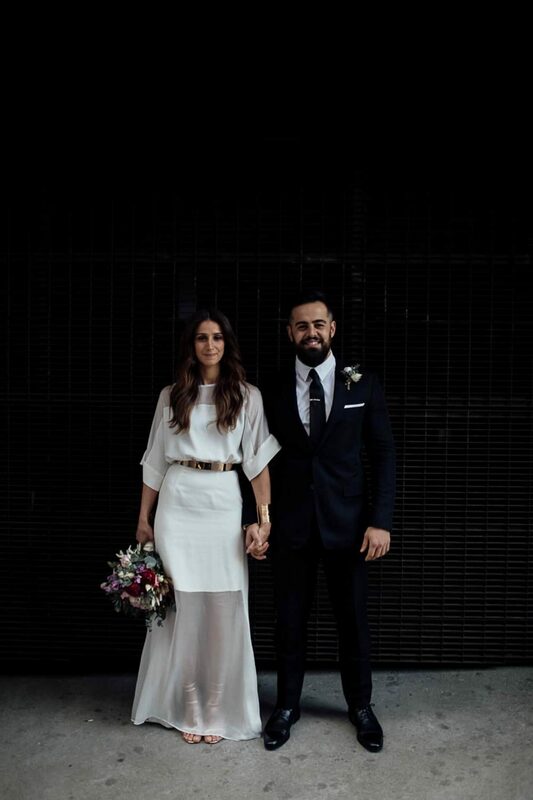 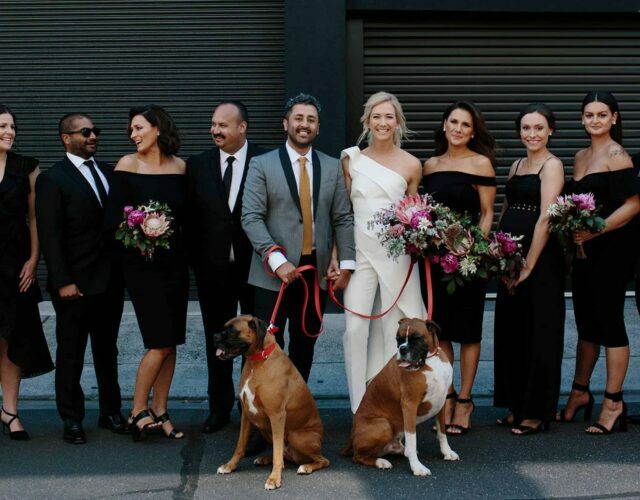 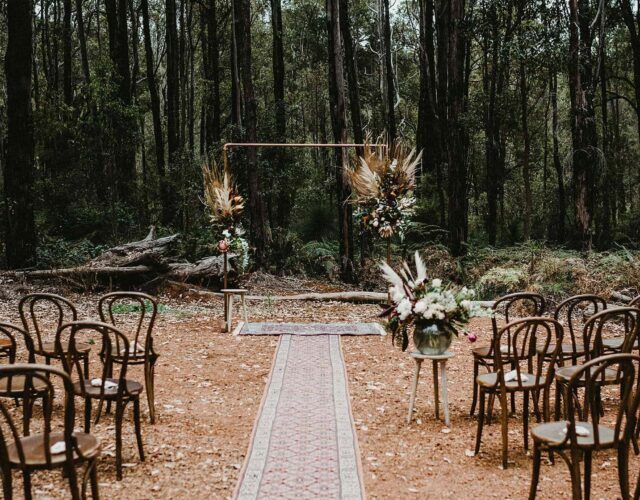 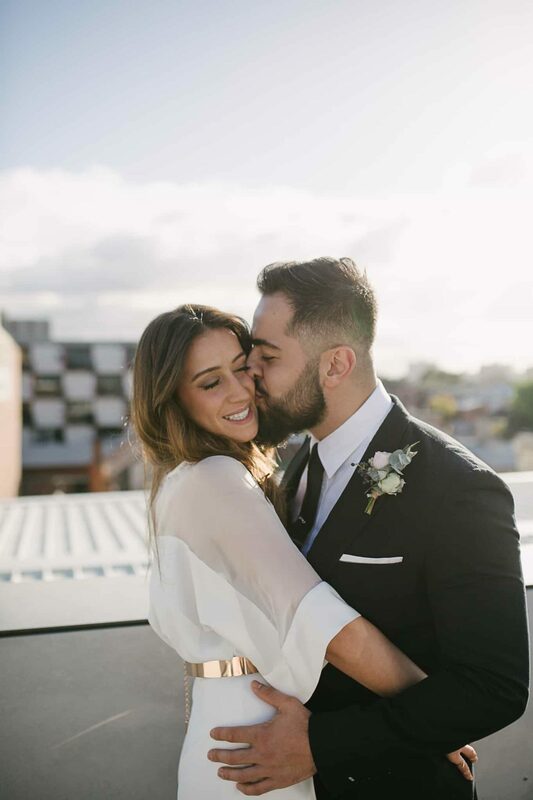 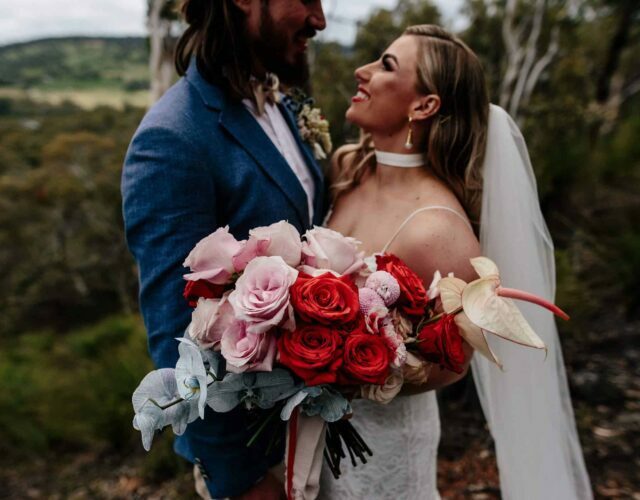 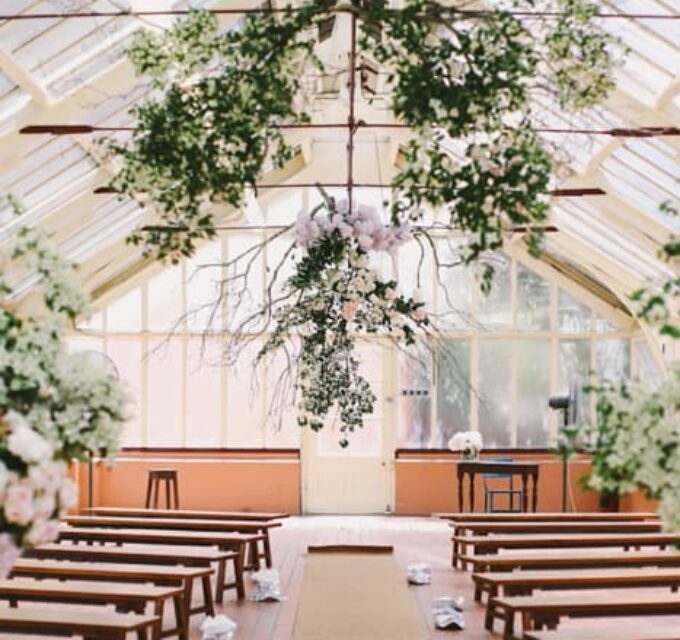 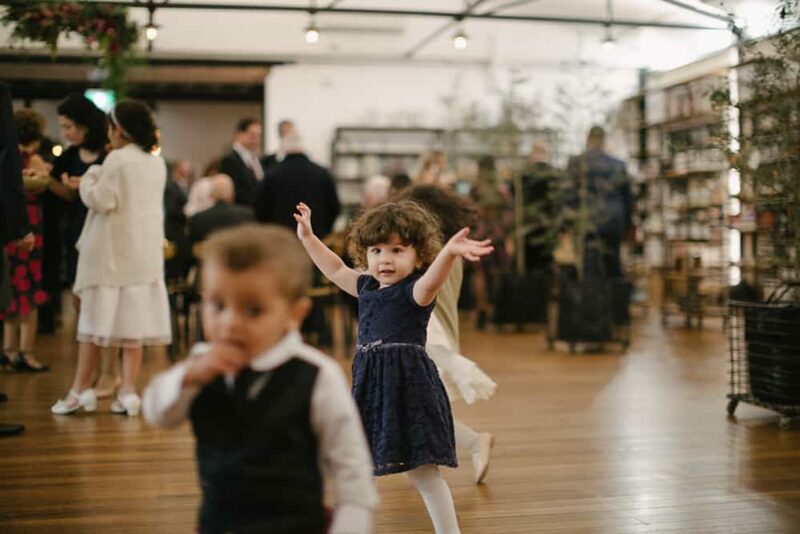 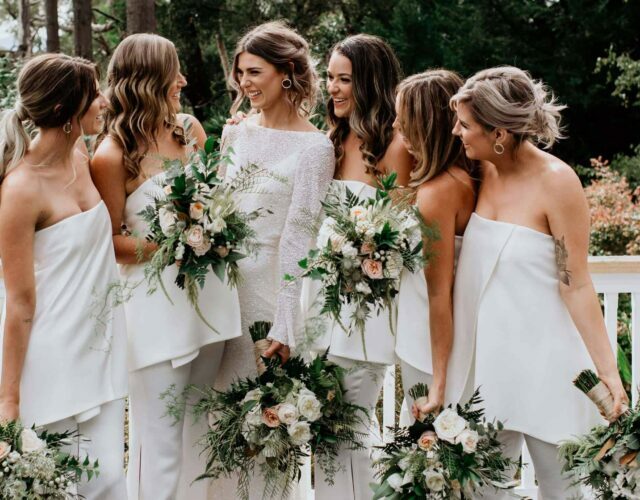 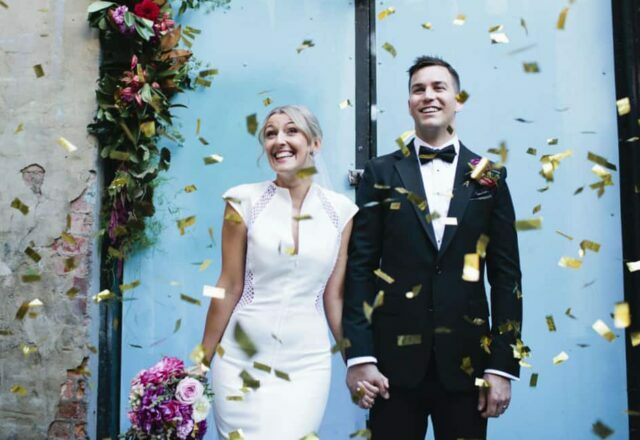 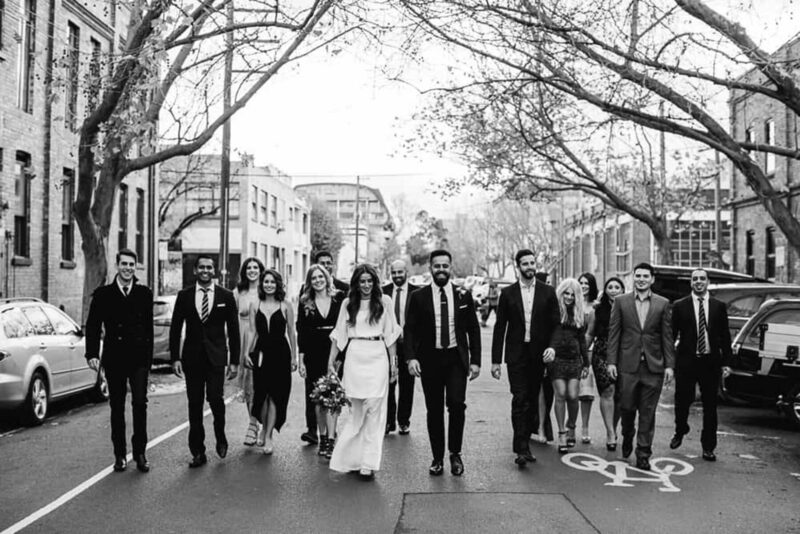 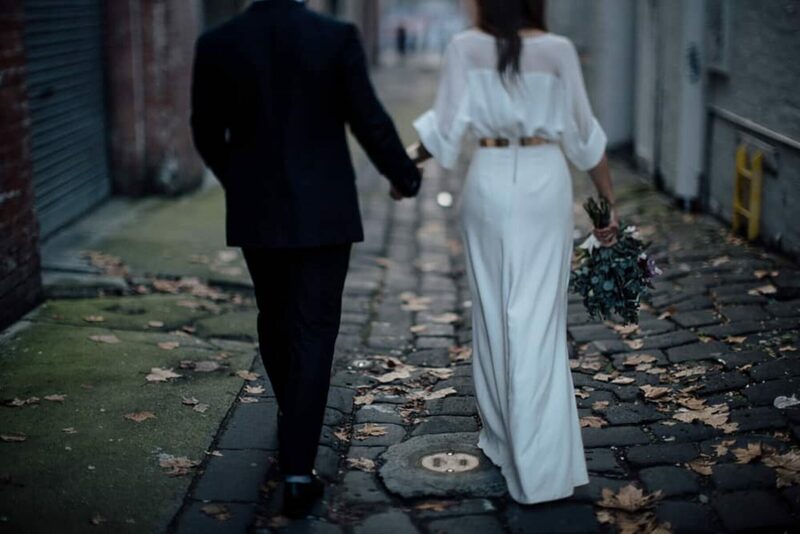 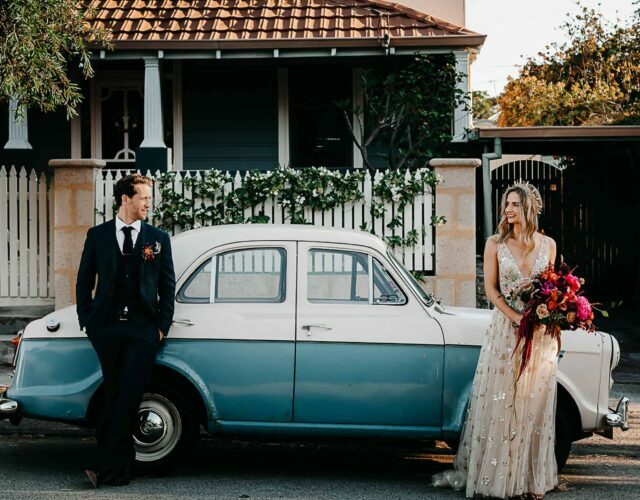 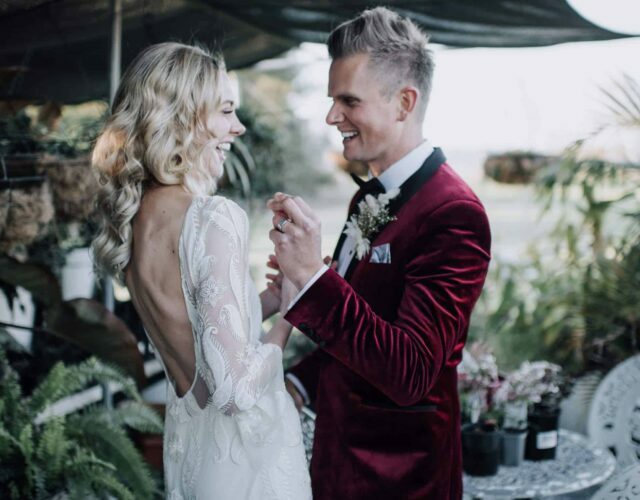 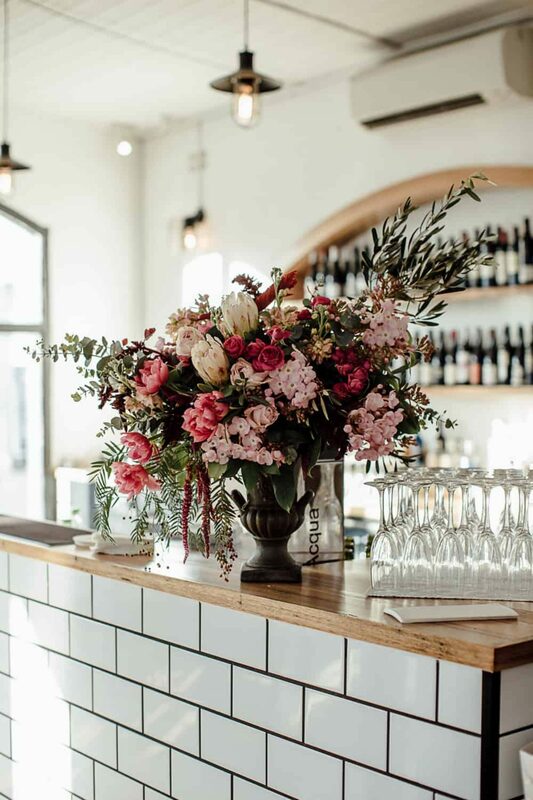 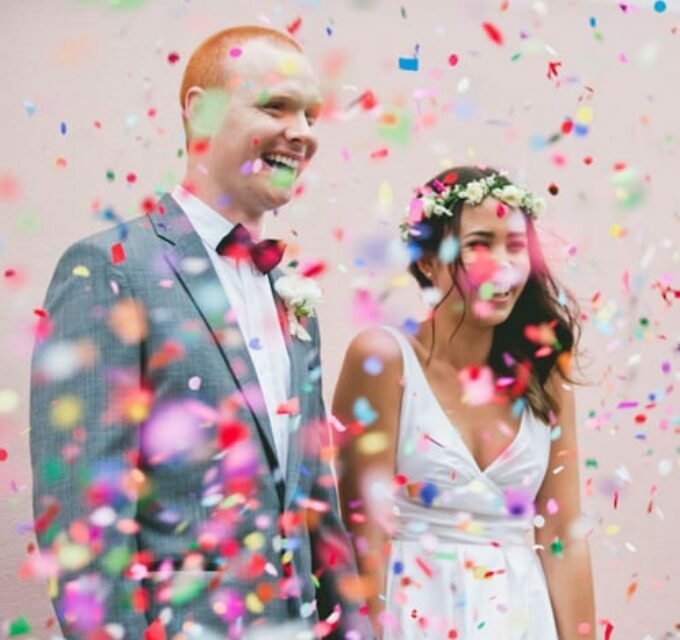 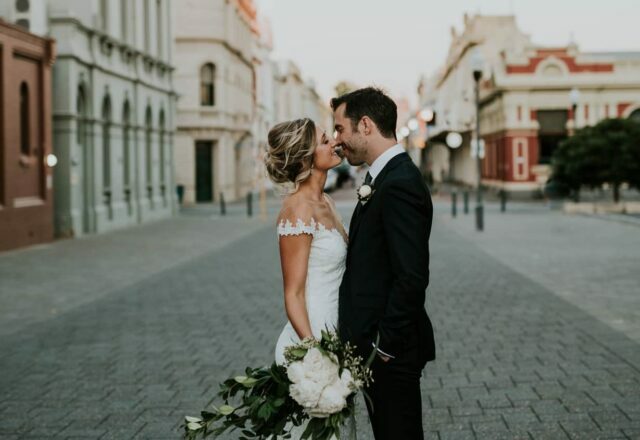 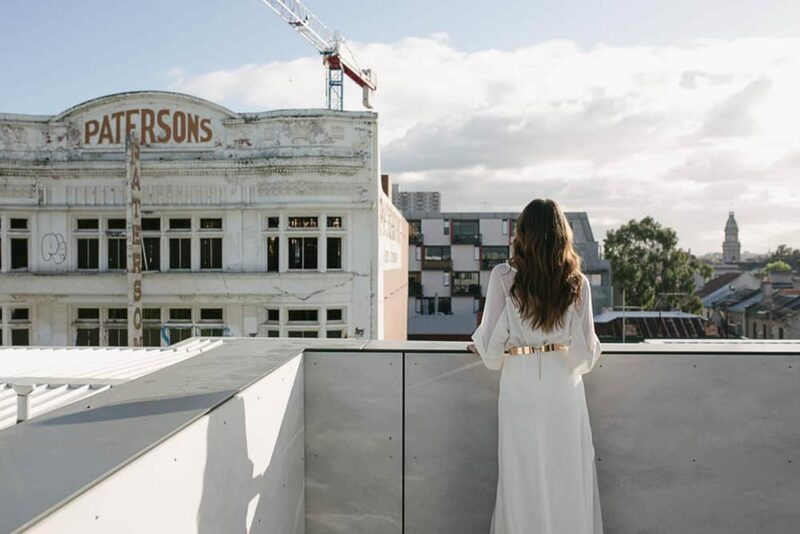 According to this couple, Collingwood has a certain charm about it, and after seeing their stunning wedding snaps by Jai Long of Free the Bird, we’d have to agree. 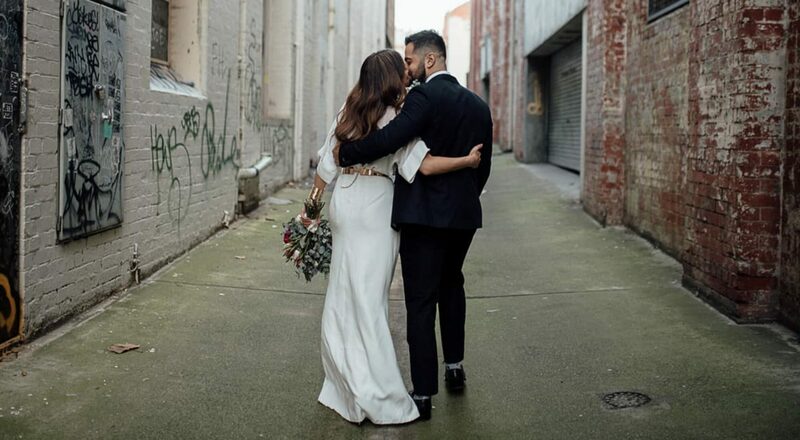 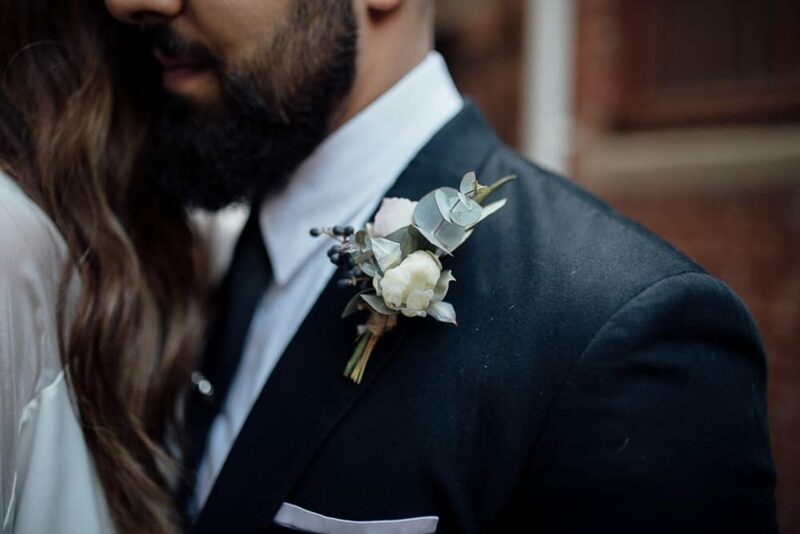 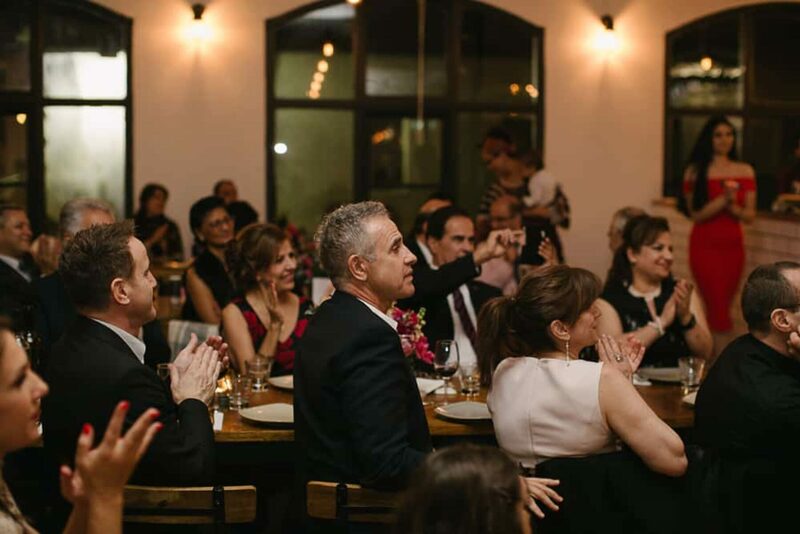 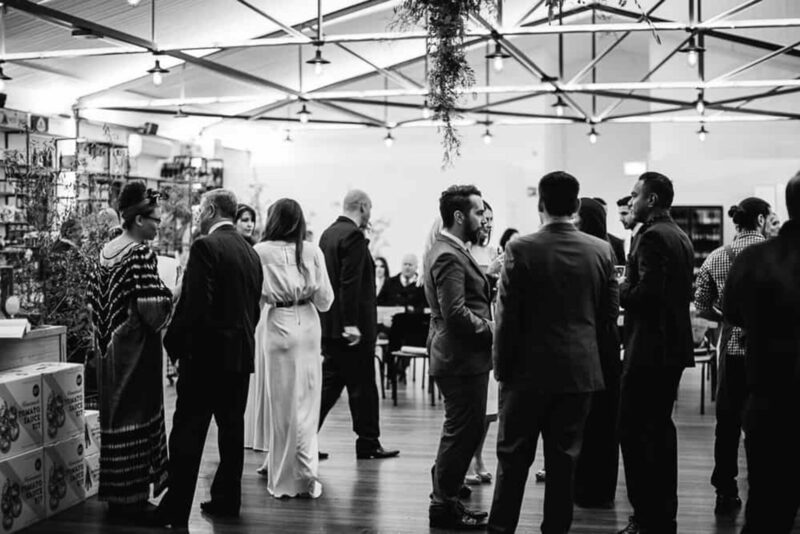 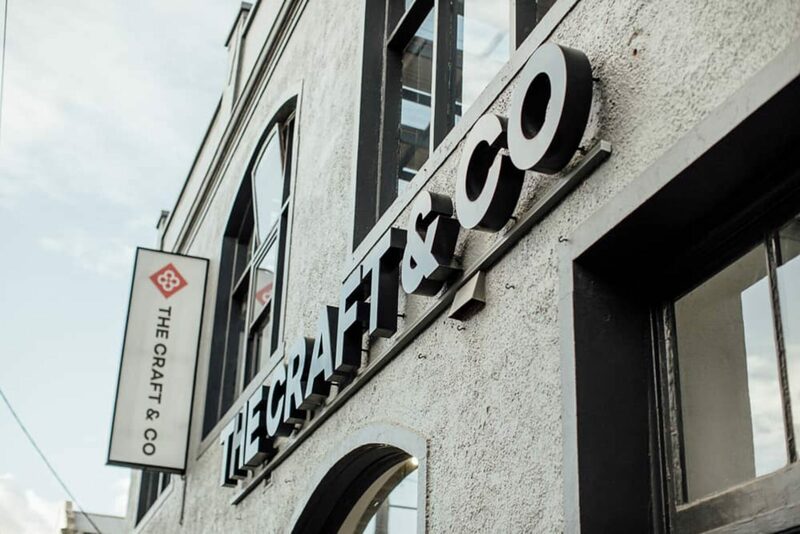 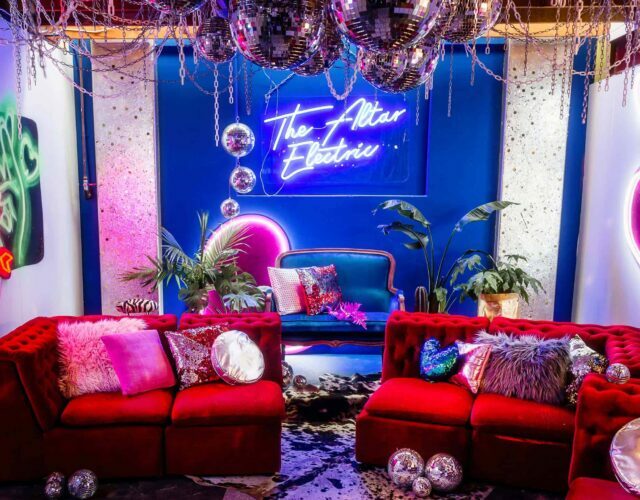 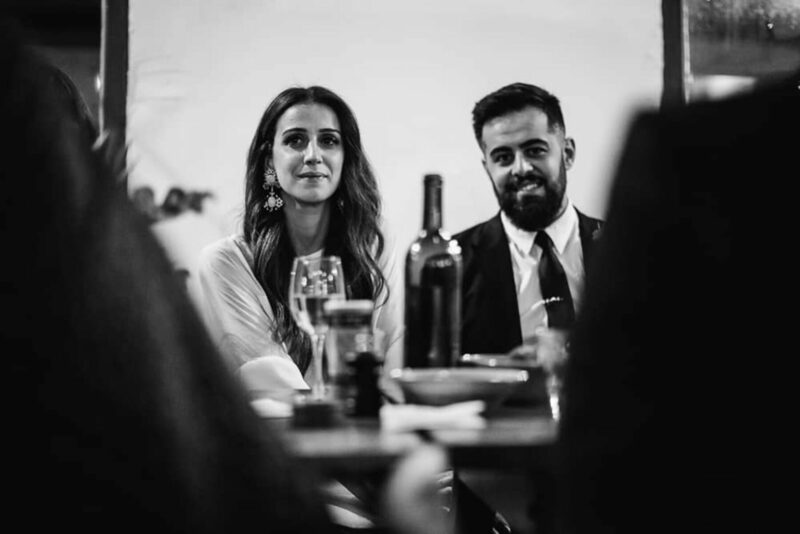 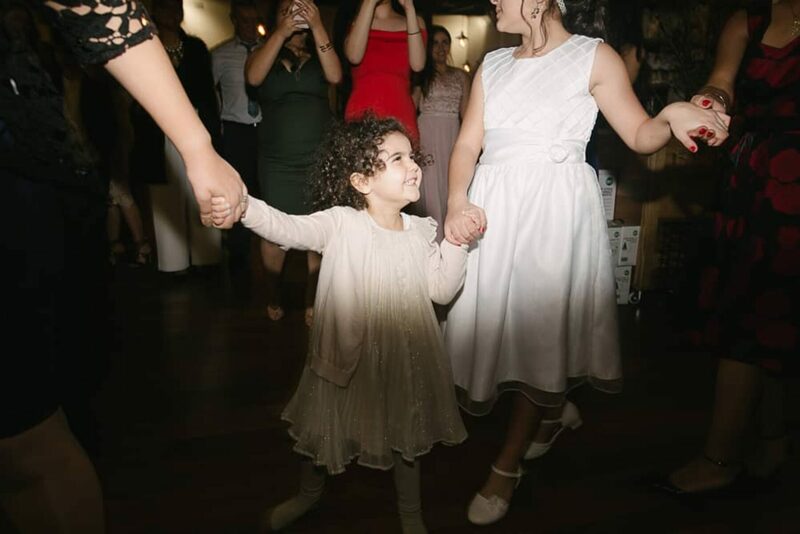 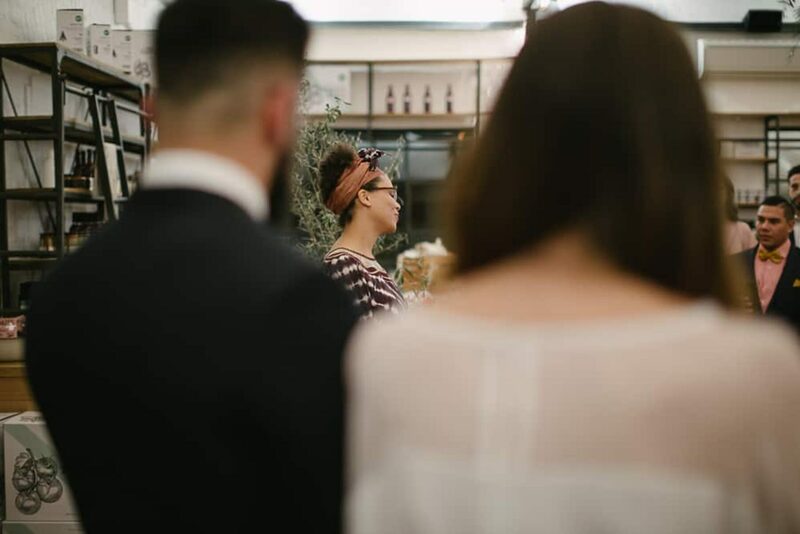 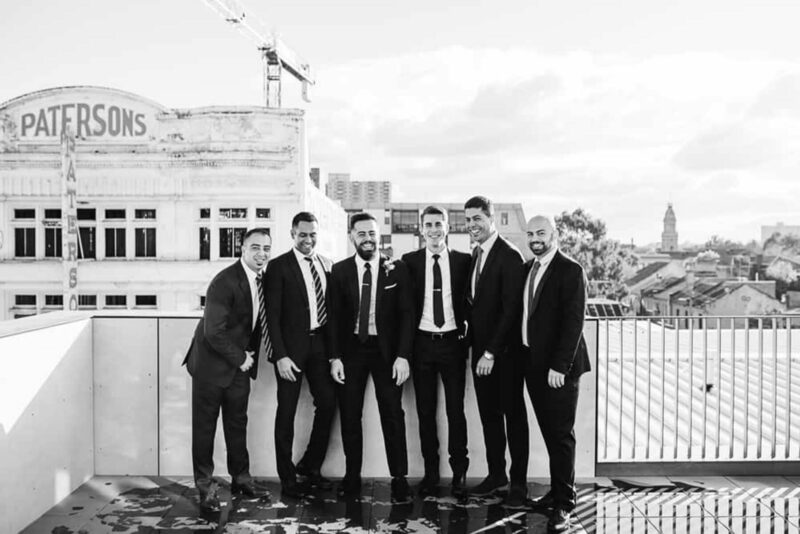 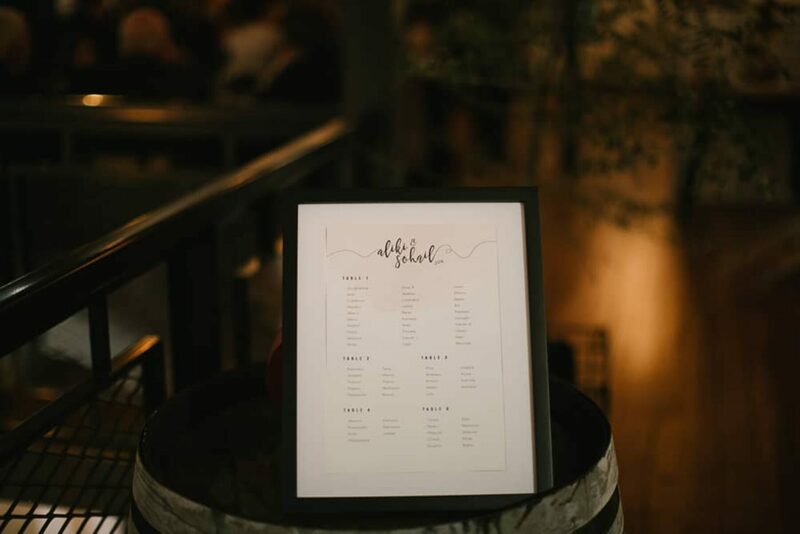 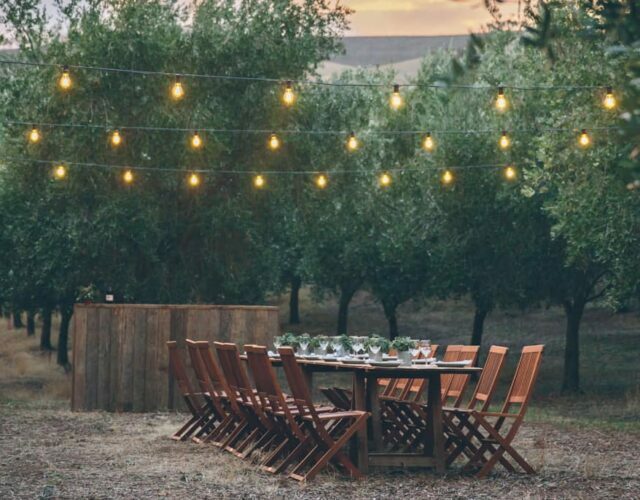 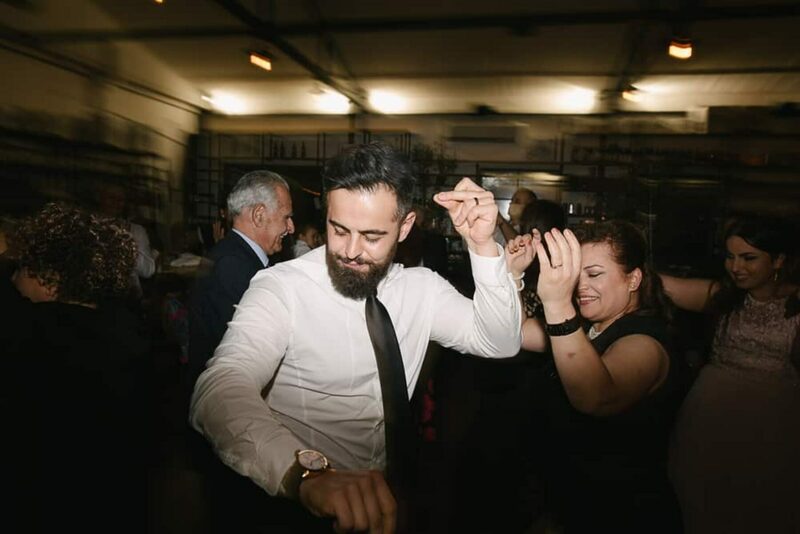 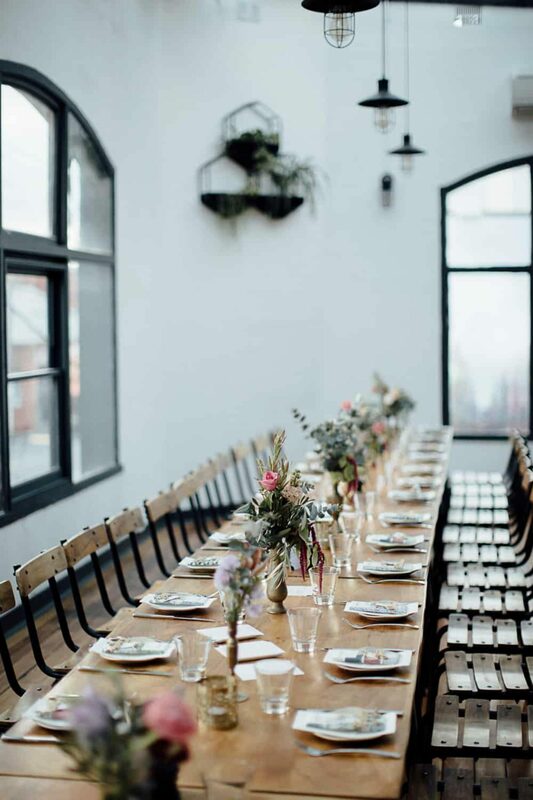 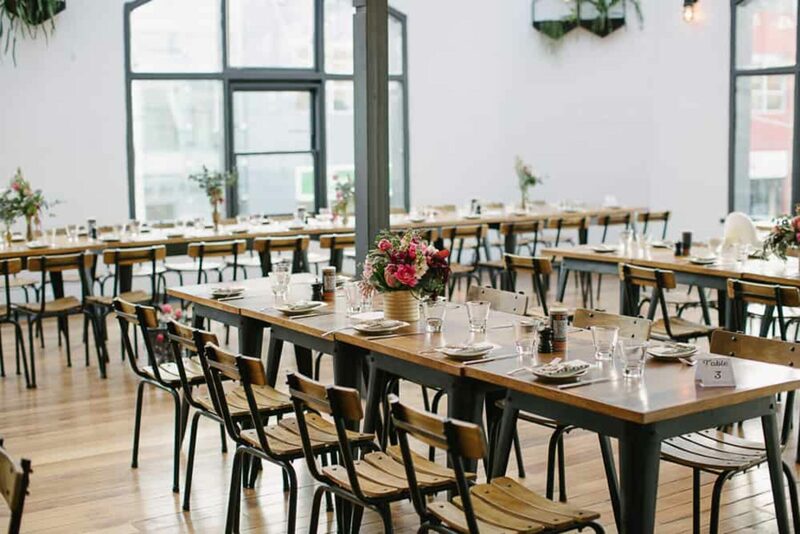 Aliki and Sohail chose The Craft & Co. as the industrial backdrop for their evening wedding and we love everything about the laid-back affiar. 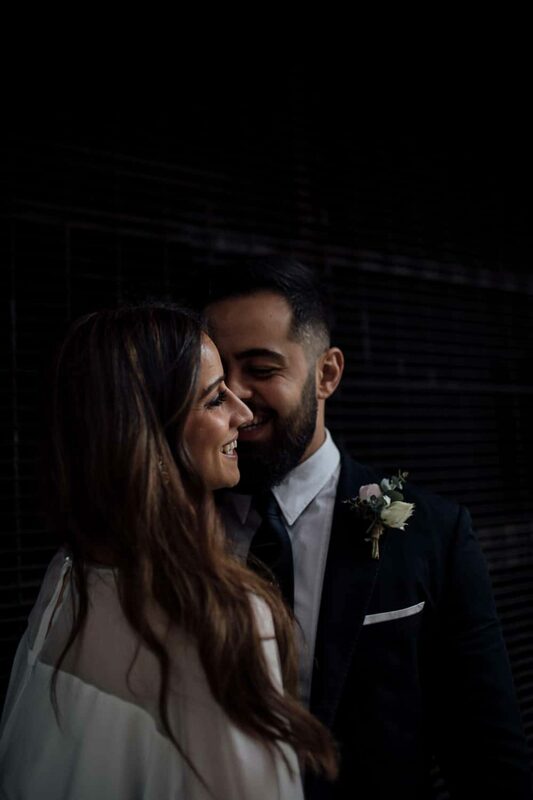 Melbourne Northsiders to the bone, Sohail popped the question at the always-packed Moroccan Soup Bar (Aliki’s favourite) and apparently the whole place erupted into applause. 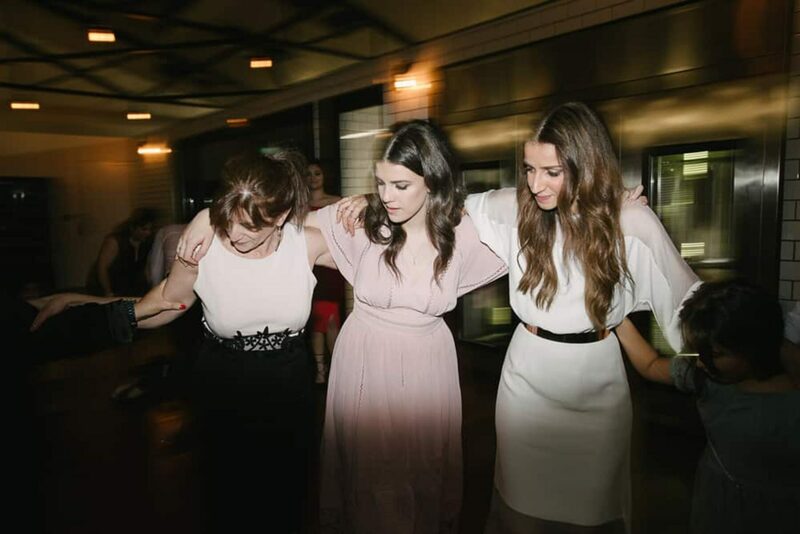 “An unforgettable moment,” they tell us. 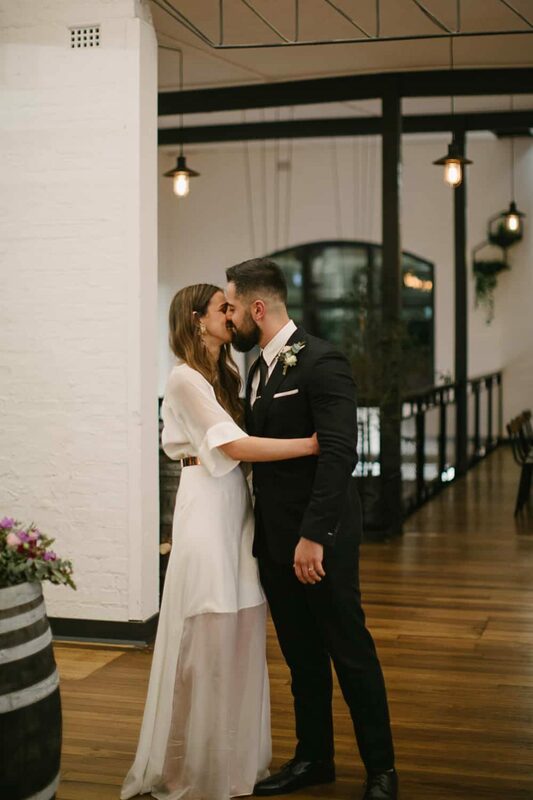 Aliki’s dress was custom-made by Ellie Louise, and with its sheer panels and billowing sleeves, we adore the contemporary design. 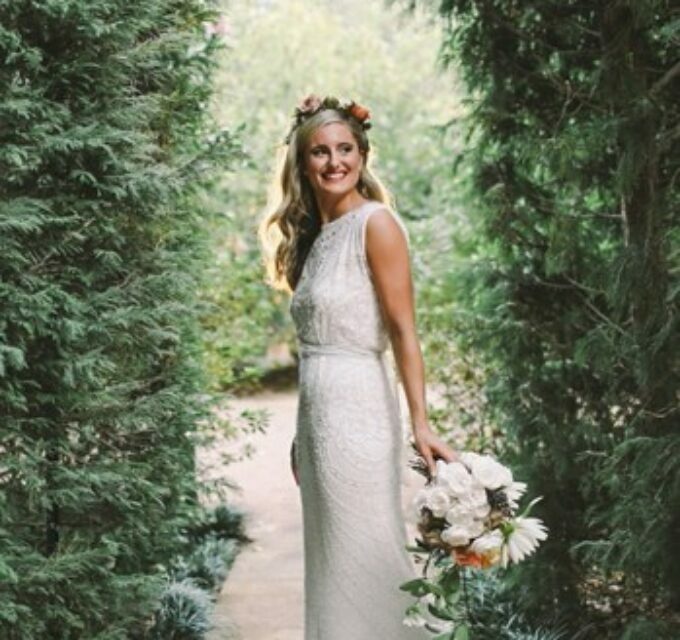 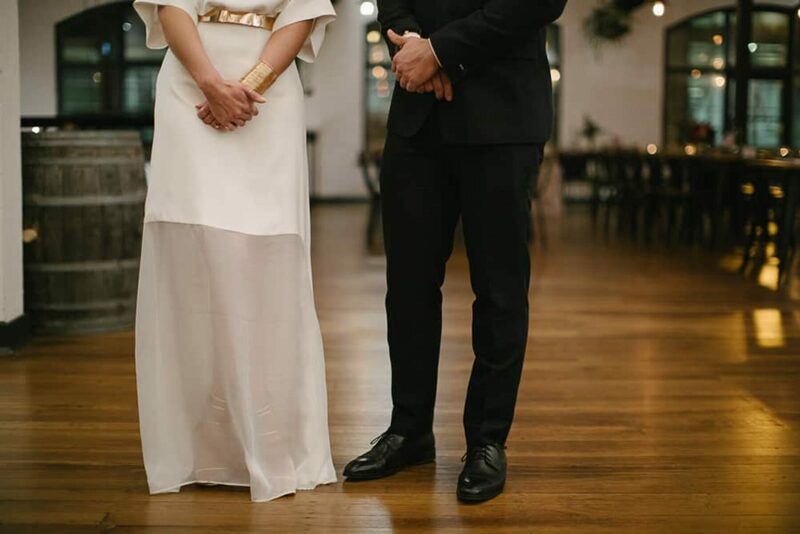 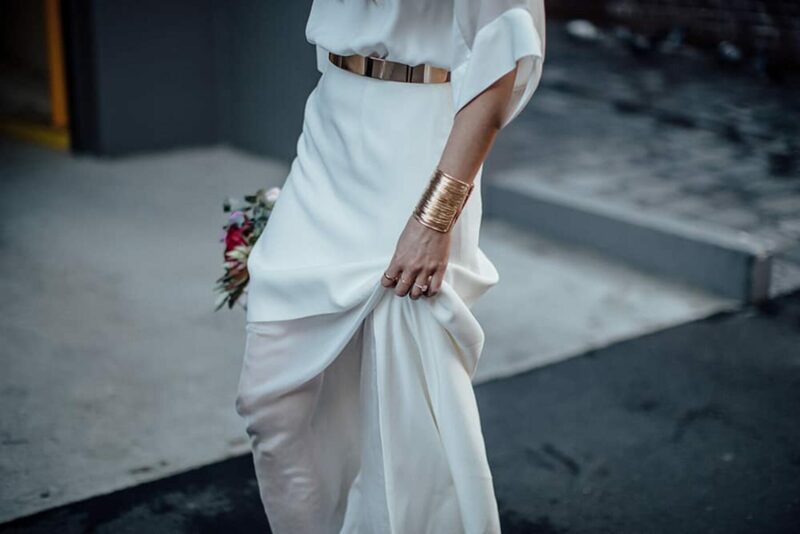 A gold belt and cuff completed this bride's modern gilded look. 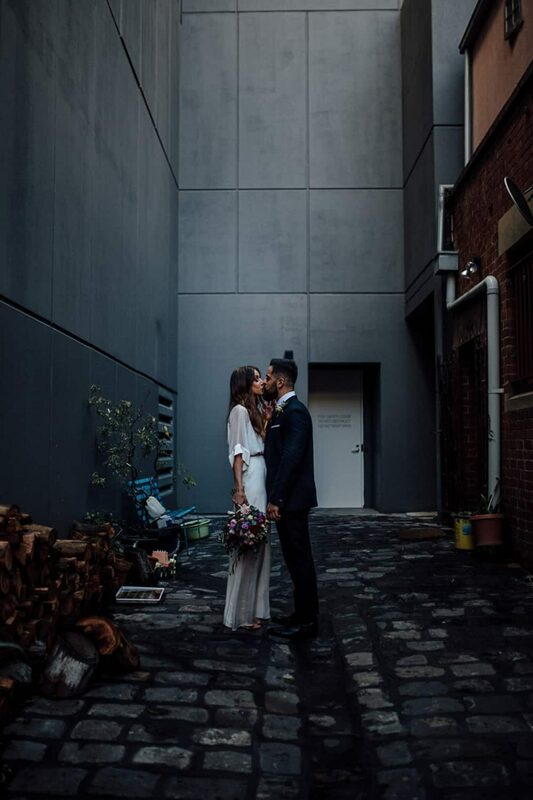 Jai Long of Free the Bird is no stranger to the streets of Melbourne and he has a real knack for capturing beauty and romance against an urban backdrop. 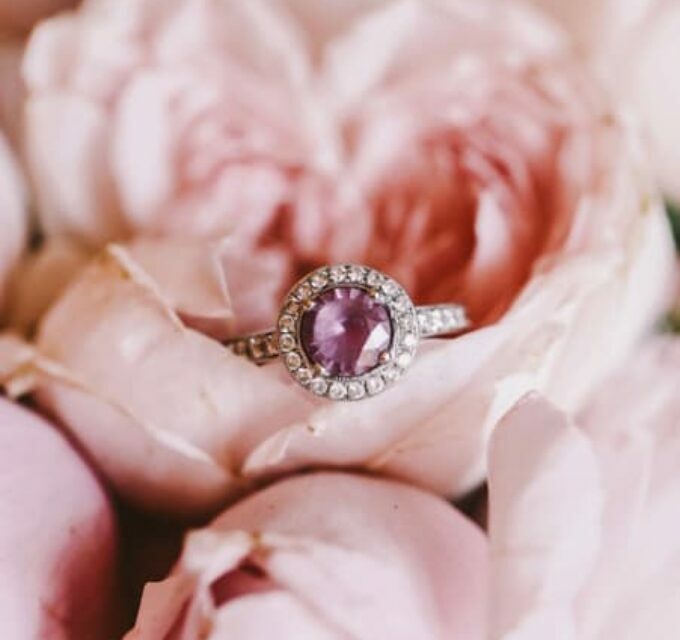 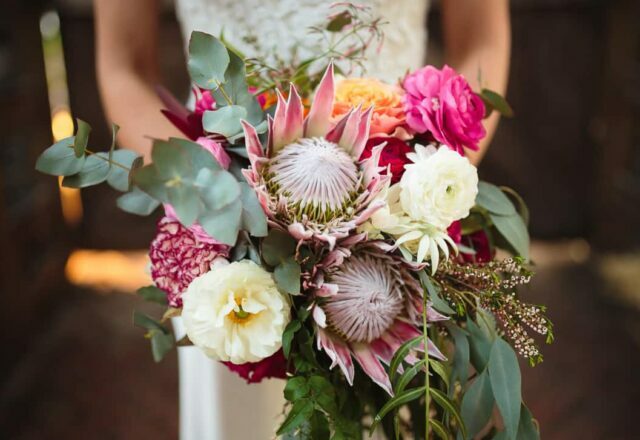 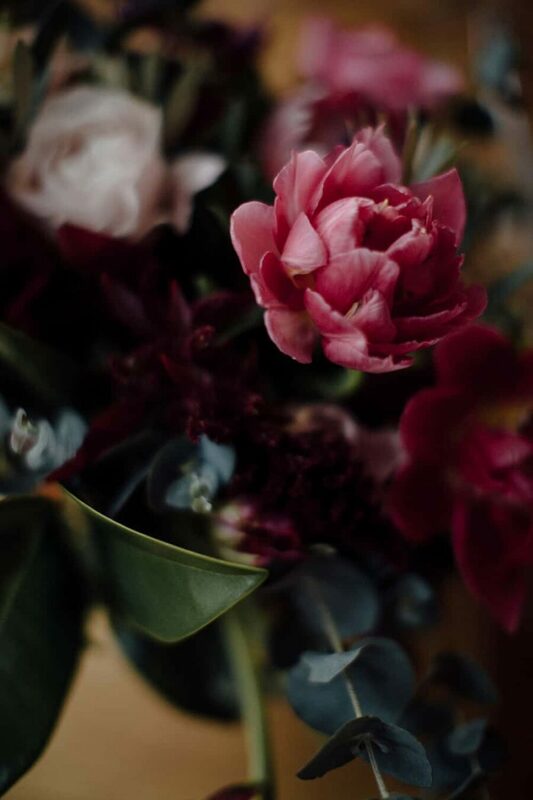 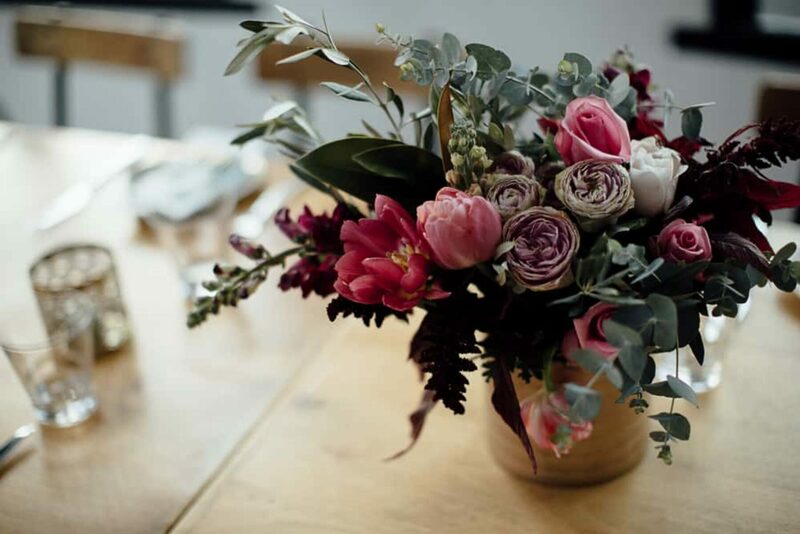 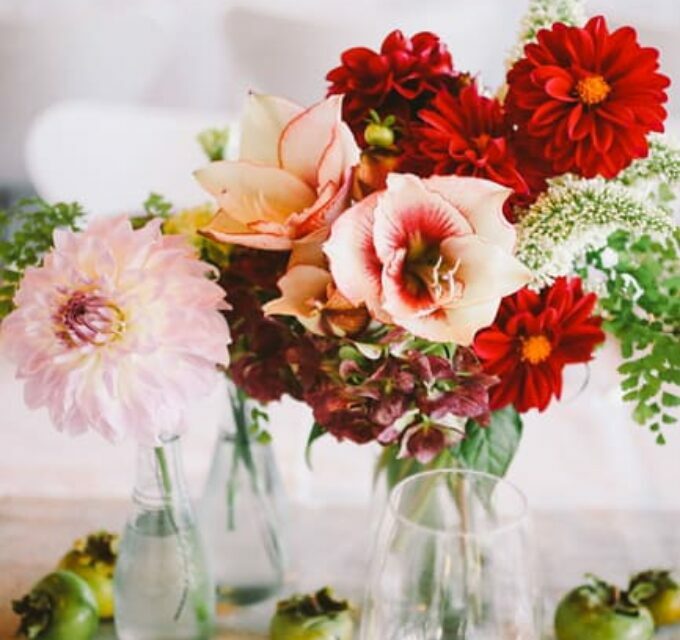 Raven & the Rose always impress us with their bold floral creations, and this is no exception. 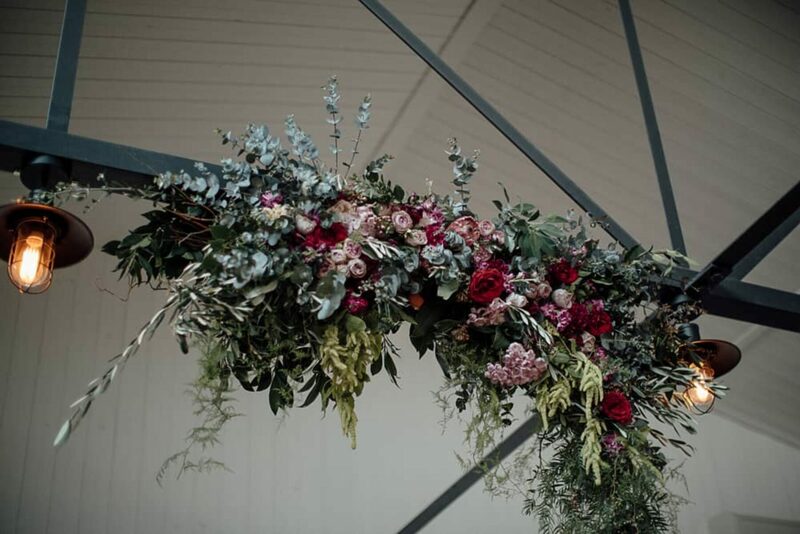 We're loving those beautiful berry tones in this hanging installation. 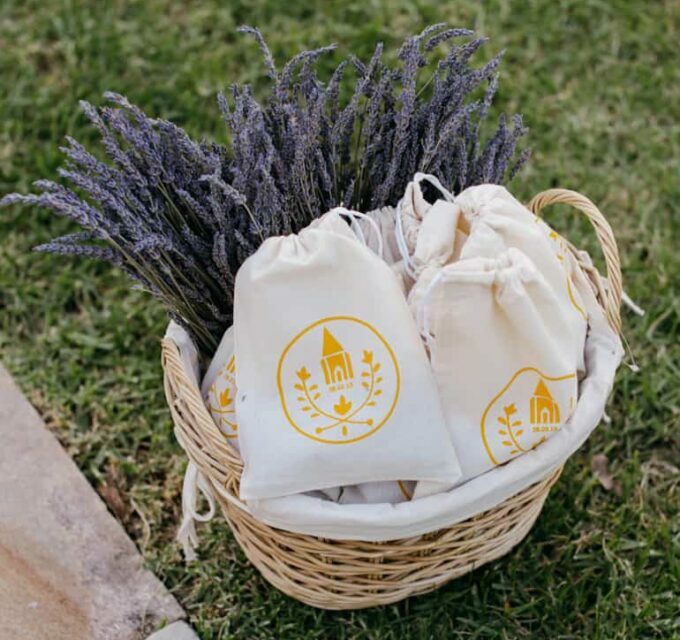 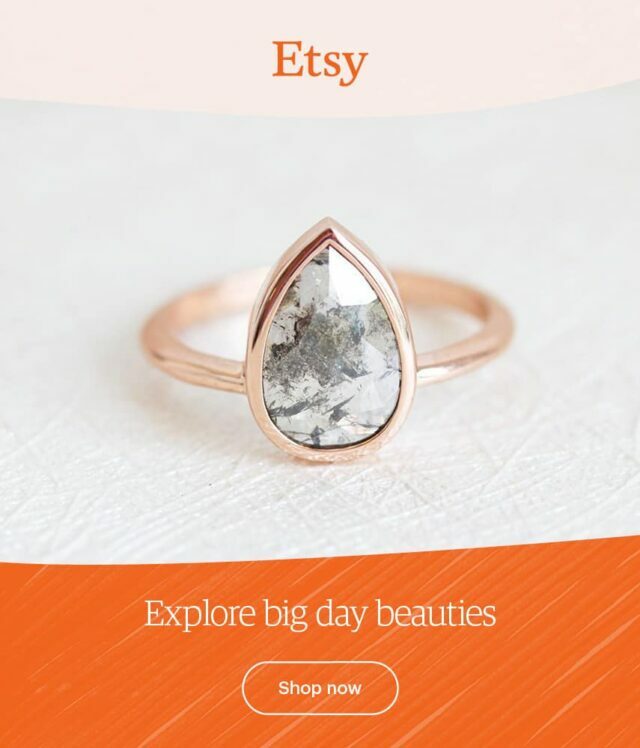 A textile designer by day, Aliki naturally took on a few creative projects. 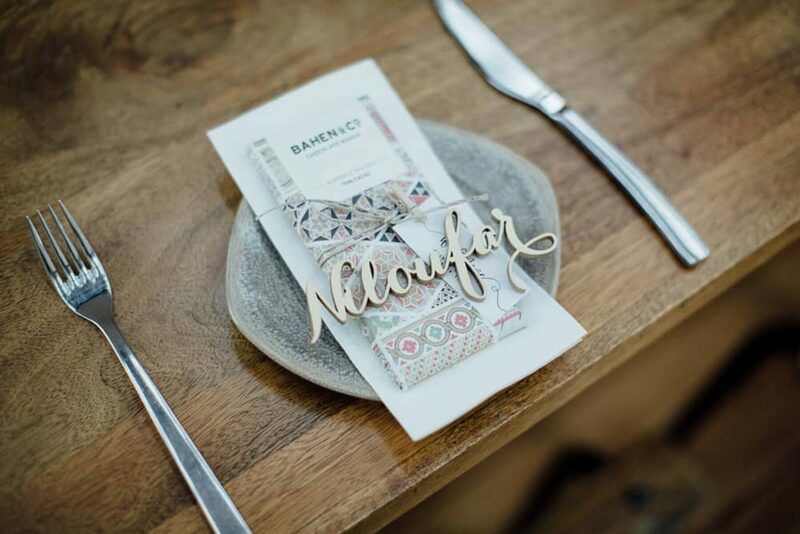 Those laser-cut names, however, were the handiwork of The Gilded Line. 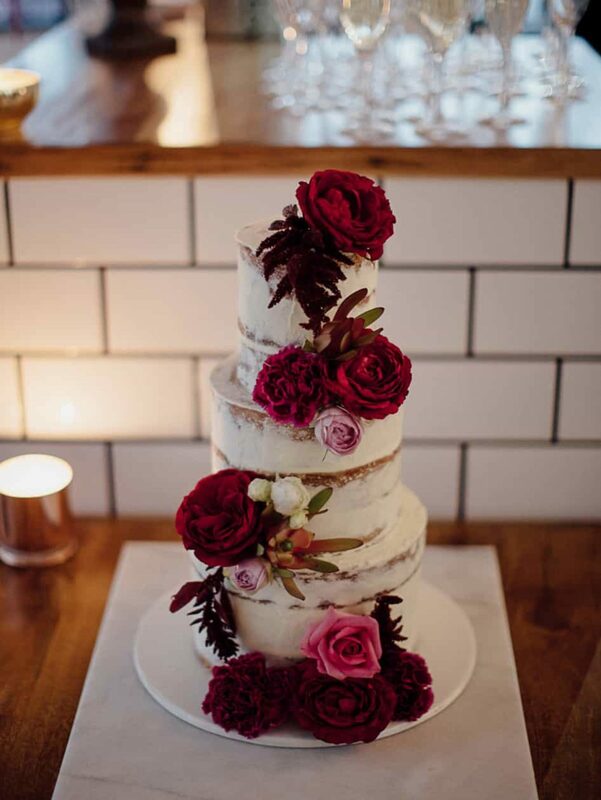 Dressed in crimson peonies, this semi-naked layer cake by Cake Ink looks almost too good to eat.